HTC Butterfly S is now listed on the company’s official India website and will soon come to Indian market. This phone is the successor of HTC Butterfly and after many rumors might finally arrive in India soon. Let us see what HTC is offering this time with the upgraded version of a high end Smartphone. This device has a 5 inch Full HD (1920 X 1080) Display which gives you a pixel density of 440 ppi which is an excellent clarity display. Display type is Super LCD3 , Which implies you will get excellent outdoor visibility and very less reflected light. this display is similar to that employed in HTC butterfly. This phone like HTC ONE comes with a 4.0 MP Ultra pixel camera capable of full HD 1080P video recording at 30 fps. These cameras employ Optical Image Stabilization (OIS) technique to prevent image from deteriorating due to vibrations. This device also has a 2.1 MP primary camera for video calling. This camera has a 88 degree wide angle lens. Connectivity features include GPRS, EDGE, NFC, Bluetooth 4.0, Wi-Fi, infrared port and USB. The battery capacity is quite good at 3200 mAh. HTC butterfly, its predecessor had a 2020 mAh battery and thus HTC has provided with significantly enhanced backup in this upgraded version. This will give you up to 29 h talk time on 2G and 25 hrs on 3G. 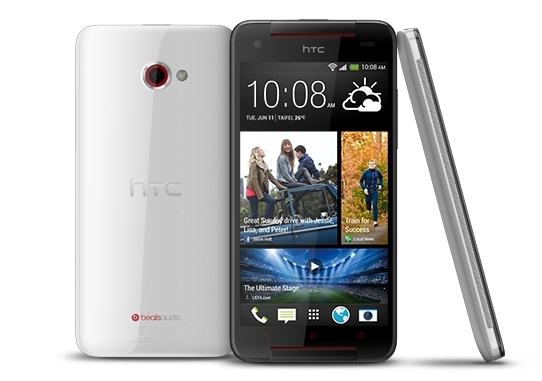 Overall HTC has enhanced clock frequency and battery capacity in this upgraded version. Seeing the competitive pricing in Indian market and also considering HTC pricing of earlier launched phones we didn’t expect this phone to hit Indian market any time soon. The key issue with this Smartphone will be its pricing. HTC Butterfly is available for Rs. 31,999. We will keep you posted on any development regarding the launch of HTC Butterfly S.